That time of year has snuck up on us again. To chase trout or panfish...what a dilemma. 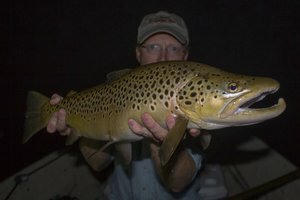 Trout, well they always win if I have the time and money. 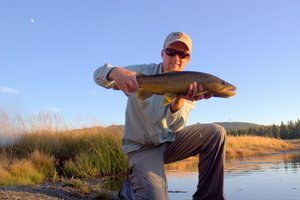 Let's face it, that is probably why most of us fly fish. Those panfish are hard to beat though. I can be fishing for bluegill, crappie, and bass a mere 2-3 minutes from the house, probably closer if I would ask some more people about fishing their ponds. Early spring can be tough. 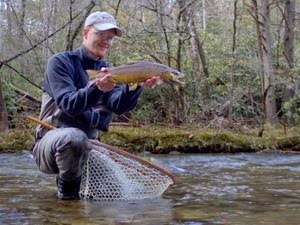 The best fishing is directly correlated with water temperature as well as the general temperature trend. 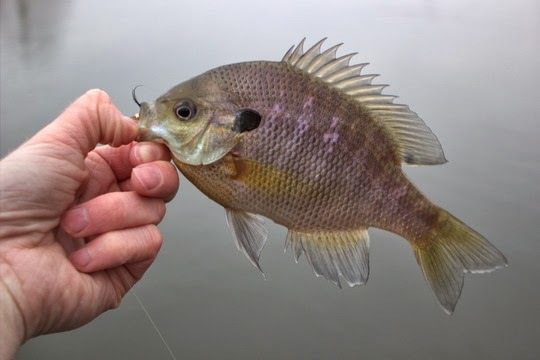 Bluegill and crappie will bite even if the water is unusually cold if you slow down your presentation sufficiently, and that's what I did recently. When I arrived at the small lake, my friend was already there ahead of me and was in the process of hauling in a bluegill. "What's working?" "That bead head pattern we tied the other night," he replied. "The Simi Seal Leech?" I asked. I probably could have figured that out, mostly because that is pretty much all I fish for bluegill these days. 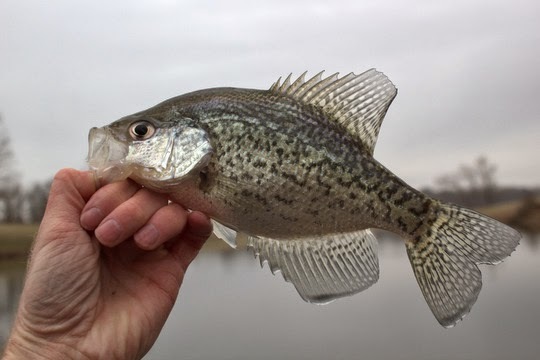 Crappie are a different story and get a special little white pattern that closely resembles a Clouser/Gotcha hybrid. Since he was already pestering the bluegill, I decided to try for crappie. After a rather quick assessment using the special crappie fly, I decided that bluegill would be the target of the day and switched over to the Leech.....and proceeded to slay them. 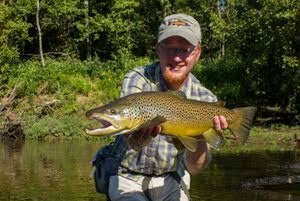 Seriously, I was catching fish on every cast for a while. I finally quit because it was cold and windy, and honestly I just got bored catching so many fish. That's bluegill fishin' for ya. In another few weeks I'll get the float tube out and take it for a spin, or perhaps talk someone into helping me paddle my canoe around a nearby lake. The same lake where I caught a 10 inch bluegill a couple of years back I might add. For now, however, I'll be happy driving a couple of miles and catching bluegill and crappie (which can also be incredibly amazing). 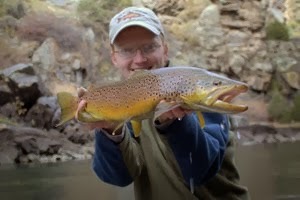 Back to my fishing trip though, the funny thing is that the fish didn't know I quit fishing. That's right. I tossed my fly about 5 feet back out on the water so the line would not get dirty while I reeled it up. Wouldn't you know, as the line came tight, there was a crappie just dancing on the end of the line. Not a bad way to finish up the short excursion! Thanks Bill! I hope that lake opens up for you soon. I'm ready to start seeing pictures of those big slabs you find there. Panfish can be a blast. The bigger, the better. Getting bored catching Bluegill and Crappie have not stopped me from having a (30) year love affair with them. You beat me to the Bluegill and Crappie this year. Weather is pretty in-consistent on the Front Range right now. We are close, though! Mel, I say I get bored but I keep going back. I guess that says something about how much I really do like them! I'll be looking forward to reading about your spring adventures soon.